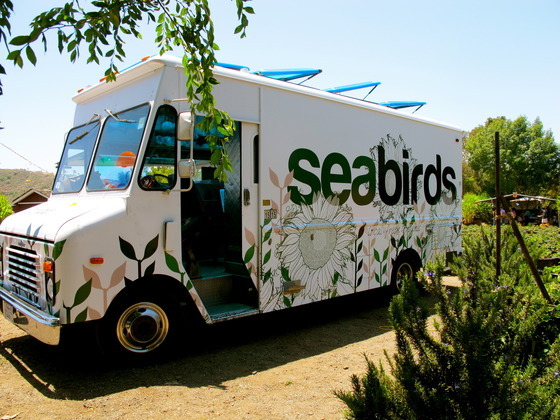 In the last year and a half the Seabirds Truck has served over 50,000 Beer Battered Avocado Tacos, traveled over 20,000 miles, and driven through 6 states. We’ve burned through 10 oil changes, 3 engines, and 2 transmissions. We’ve shoveled 56,000 pounds of ice, refilled 43,000 gallons of water, and washed & chopped 3,000 bunches of local kale. We’ve had first degree burns, third degree burns, bumps, bruises and sprained ankles. Life on the road has been fun, but we think its time to plant some roots and have a place to call home.